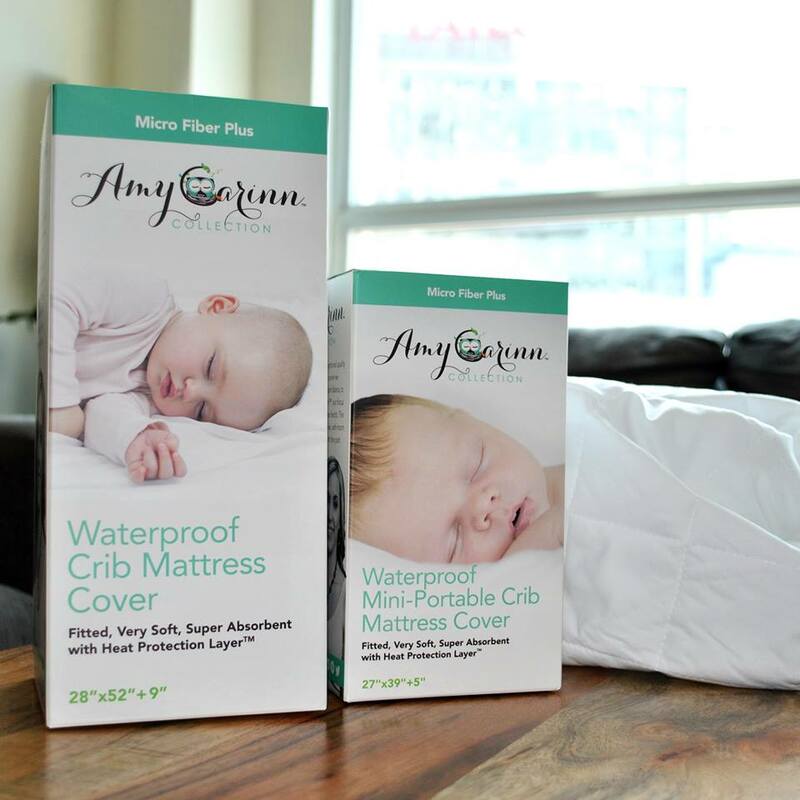 Top Rated Waterproof Crib Mattress Every Parent Should Know About #Giveaway - Tired Of Being Pregnant? Me Too. *I've partnered with Amy Carinn to start a conversation about how parents want the very best for their children. All opinions are my own. I think all parents will agree, we want the very best for our children.With first-time parents being the most guilty of taking it to the extreme. We want the top rated safest mattress with the best cover and sheets, as organic and natural as possible. The same goes for the clothes they wear and the food they put into their body. One place I'm always looking for the top rated baby and children's gear is Amazon. They have a top sellers listing that I constantly browse. I see something new or that I like, I read the reviews see if it's really the best. There's no denying, Amazin is a great place to find a great deal too! When Amy Carinn, of the Amy Carinn Collection, reached out to see if I would review her Amazon Top Selling waterproof mattress cover, for both crib and Pack 'N Play mattresses, I certainly took a look. After reading the reviews, 4.9 stars out of five, as voted on by 145 people, most all verified purchases, I was certainly impressed and intrigued. One of the reviews was even from someone who left an initial review May 5, then came back in July just to say how much they still loved it. I don't think I've ever seen that! 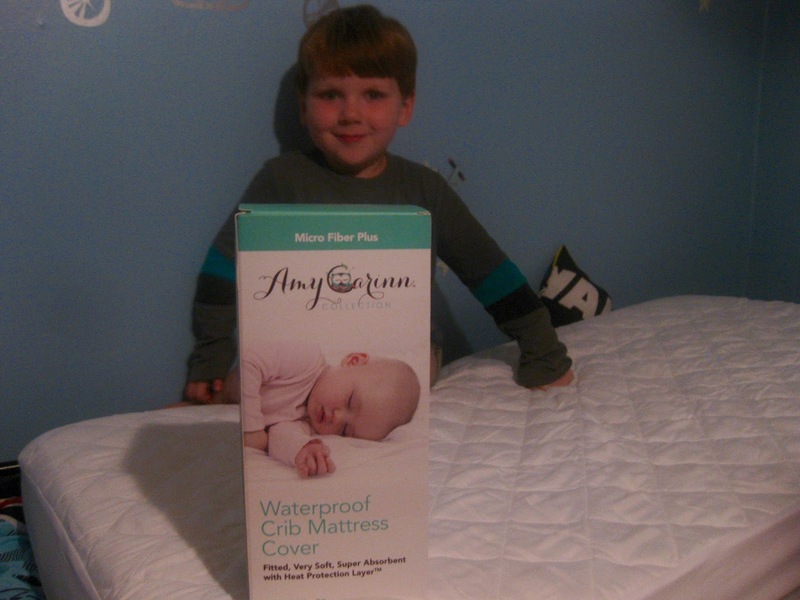 I am still just so in love with this waterproof crib mattress protector. Even after several washes and times in the dryer, it still fits perfectly without me forcing it onto the mattress and still is as new as if it were the day I received it. And then, I receive a new one in the mail because Amy Carinn has improved the quality by perfection when I didn't even think that was possible. And yet, it is! The new one seems to fit even better than the first. The padding is a little more, but still not so much that one would feel unsafe for their child to sleep on. Um, wow. I emailed Amy back and said, I have got to see this amazing mattress pad, send NOW! So here's the lowdown on these Amazon best-selling waterproof mattress pads for Toppler beds and Pack 'N Plays. 1. 50% stronger thread than the competition. 3. Exclusive Heat Protection Layer™ which protects the waterproof membrane from dryer heat. 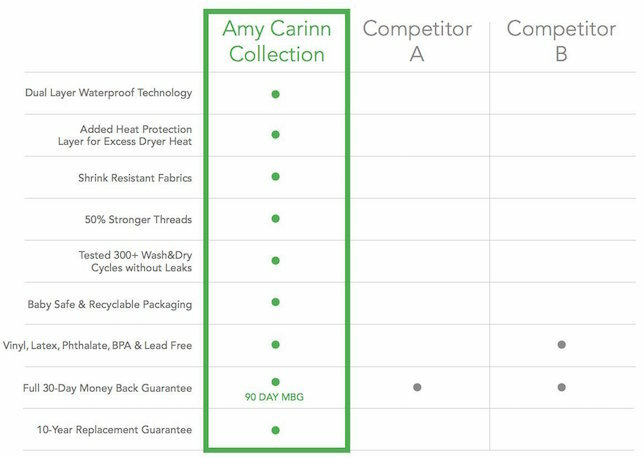 After 300 washes in a lab test, Amy Carinn Mattress covers had no thread breakage, minimal shrinkage, and no leaks! 4. Also available in an unbleached undyed bamboo mattress cover! 5. The a,material and feel are so lovely! I know that's a strange way to explain it, but that's all I could think when I took the mattress cover out of the box! Ollie wouldn't get off of it! I have to say, I see what all the hype is about. The mattress cover is lovely. Absolutely lovely. It's silky soft and quilted, but certainly not too quilted. And the waterproof backing material is soft and lovely too! And at under $25 for the cover, you can't beat it! If you're in the market for a crib or Pack N Play mattress cover. I definitely definitely Definitely recommend this product! Use code MOMBLOG25 for 25% off! click here to Buy now! Feeling Lucky? TWO lucky readers are going to win both, a Crib/Toddler mattress cover and Pack N' Play cover! Sign up below!